How do I add more media storage to my plan? How you can add increase the amount of media storage that you have in your plan. All plan levels include an amount of media storage. You can see how much media storage is included in each plan type on the plans page. There is also the ability to increase the amount of media storage that you plan has access to from the Storage Management page. Navigate to the settings page (red gear icon) in the web app. 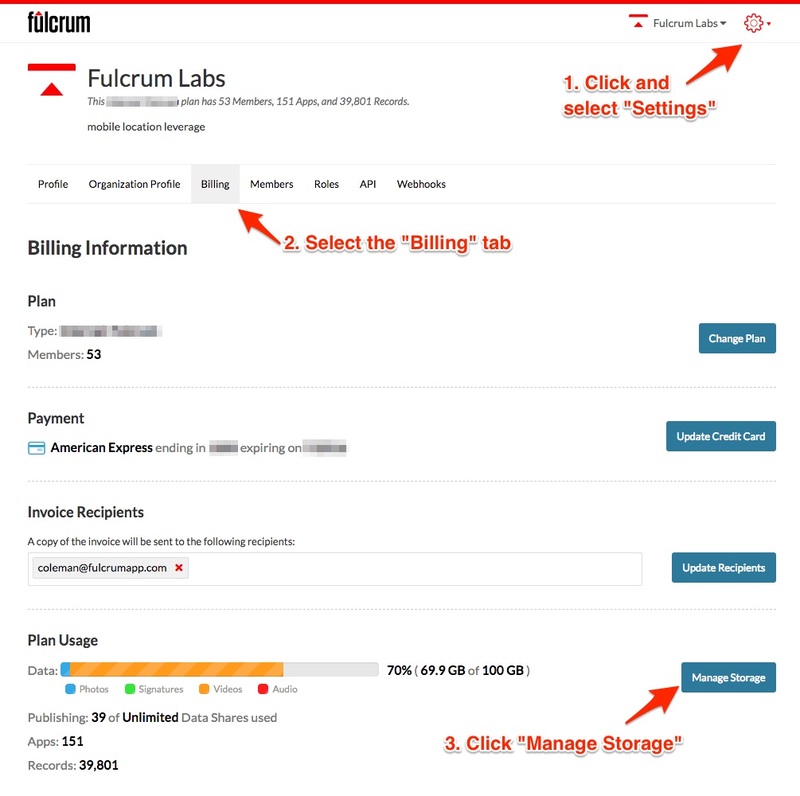 Click on the manage storage button in the Plan Usage section. Additional media storage is provided in 20 GB blocks. You have the option of adding additional blocks at any time. For example, if you select to increase your media storage by 3 blocks, you will be adding 60 GB of media storage. 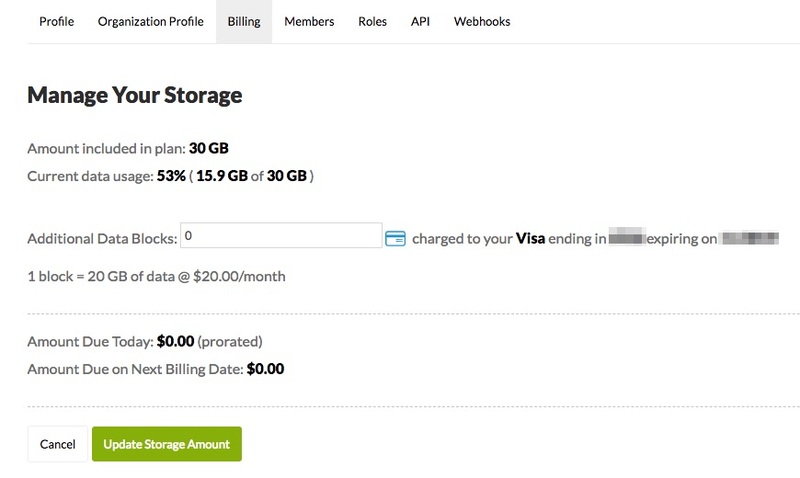 The rate for a block of storage is $20 per block per month. In the event that you no longer need the additional media storage, you can lower the amount of storage back down to the included plan amount. You can do this by updating the number of blocks you are currently using. Note: You cannot set the number of blocks to an amount that is lower then the amount of media storage currently being used. For example, if your plan includes 10 GB of storage and you have two blocks of storage you will have 50 GB of total media storage. If you are currently using 12 GB of media storage you would only be able to remove one block of storage.